Financial sector US stocks news Beijing time on April 13 news, strong Chinese data and banking industry earnings exceeded expectations to stimulate investors to do more enthusiasm, US stocks rose sharply, the Dow rose nearly 270 points, the Nasdaq broke through 2900 points with S&P Tongchuang six More than a month high. Today's landing on the NYSE's "Africa Edition"Alibaba(US stock BABA) "Jumia Technologie closed up 75.59% on the first day, with a market value approaching $2 billion. As of the close, the S&P 500 index closed up 19.09 points, or 0.66%, to 2907.41 points. The Dow Jones Industrial Average closed up 269.25 points, or 1.03%, to 26,412.30 points. The Nasdaq Composite Index closed up 36.81 points, or 0.46%, up to 7984.16 points. This week, the S&P gained 0.51%, the Dow lost 0.05%, the Nasdaq rose 0.57%, and the S&P 500 index was up and down. The 10 major sectors closed up, with 1 major sector closing lower; among them, the financial sector led the gains, followed by the materials sector; the health care sector was the only sector to fall. The Dow closed above 260 points. The news that the Dow component Disney (DIS) is preparing to enter the streaming media industry has boosted its share price by 11.5%. The S&P 500 index stood at 2,900 points, less than 1% of its record closing record. Investors generally expect that the company's situation will be difficult this quarter. According to FactSet, the earnings of US-listed companies in the first quarter will fall by 4.2%. As JP Morgan Chase and Wells Fargo announced their earnings, the US earnings season has started informally. JP Morgan Chase (JPM) announced earlier Friday morning that its results exceeded expectations. The company's first quarter revenue was $29.85 billion, compared to $28.52 billion in the same period last year, and the market expects $24.439 billion. Earnings per share for the first quarter was $2.65, which was higher than market expectations of $2.35. Wells Fargo (WFC) first quarter earnings per share of 1.20 US dollars, higher than analysts' expectations of 1.09 US dollars; first quarter revenue of 21.61 billion US dollars, higher than expected 560 million US dollars. The news of huge M&A transactions in the oil industry has received attention. Chevron announced plans to acquire Anadarko Petroleum in cash and stock at a price of $65 per share for a transaction value of $33 billion. The trade dispute between Europe and the United States remains the focus. According to EU diplomats, the European Commission has drafted a temporary list of US merchandise imports worth about 20 billion euros as a potential counter-attack against the Boeing WTO subsidy dispute. Earlier, Trump threatened to impose tariffs on $11 billion in European imports early this week. Reuters reported that according to EU diplomats, the European Commission has drawn up a temporary list of US merchandise imports, worth about 20 billion euros, as a potential counter-attack against the Boeing WTO subsidy dispute. It is reported that the European Central Bank submitted the internal NowCasting model to the central bank's decision makers on April 10. The model now expects the euro zone's first quarter GDP growth rate to slow to 0.2%, which may slightly slow down further in the second quarter. This means that the economic recovery in the euro zone will be further delayed. The US Commerce Department reported that the US import price index rose sharply for the second consecutive month in March, but the increase was related to the rise in oil prices. The decline in the import price index, excluding fuel prices, confirms that inflationary pressures in the United States remain moderate. US April University of Michigan consumer confidence index initial value: today value: 96.9, the previous value: 98.4, expected: 98.2. US April University of Michigan consumer expectations index initial value: today value: 85.8, the previous value: 88.8. US April University of Michigan consumer status index initial value: today value: 114.2, before: 113.3. The US first-year inflation forecast for the University of Michigan in April was 2.4%, with a previous value of 2.5%. In April, the University of Michigan's five-year inflation expectation was 2.3%, with a previous value of 2.5%. US March import price index year-on-year: current value: 0%, previous value: -1.3% (correction: -0.8%), expected: -0.6%. US March import price index: Today's value: 0.6%, the previous value: 0.6% (correction: 1%), expected: 0.4%. US March import price index (excluding gasoline): the current value: 0.2%, the previous value: 0.1% (correction: 0.2%), expected: 0%. The US March export price index was 0.7%, expected 0.2%, and the previous value was revised from 0.6% to 0.7%. The US March export price index was 0.6% year-on-year, with a previous value of 0.3%. US oil drilling number for the week of April 12: Current value: 833, previous value: 831, expected: 835. The number of natural gas drilling in the US on April 12: Today's value: 189, the previous value: 194, expected: 195. The total number of wells in the United States on April 12: Today's value: 1022, the previous value: 1025, expected: 1030. On April 12, the data released by the People's Bank of China showed that China's new RMB loans in March reached 169 billion yuan, which was higher than expected and rebounded from the previous value. The monthly social growth scale was 280 billion yuan, exceeding expectations and rebounding sharply from the previous value. China Customs Administration released data showing that in March, China's exports in March increased by 14.2% year-on-year, expected to increase by 6.5%, the previous value fell by 20.7%; imports fell by 7.6%, expected to increase by 0.2%, the previous value fell by 5.2%. Michael Hewson, chief market analyst at CMC Markets, said in a report to clients: "Despite the slowdown in global economic growth, China's export growth is even more encouraging, indicating that demand for Chinese goods remains strong." "For the stock prices of JPMorgan Chase and other banks, the strong performance in the first quarter of 2019 should be good news." Jeffrey Ha, an analyst at Sandler O'Neill & Partners Jeffery Harte wrote in a research report. "We are particularly aware that JPMorgan's foreign exchange and fixed income trading business and bond underwriting business revenues exceeded expectations, which is a positive sign for banks." Google's parent company Alphabet rose 1.09%, Facebook rose 0.90%, Microsoft rose 0.52%; Netflix plunged 4.49%, Amazon fell 0.05%, and Apple fell 0.04%. Financial stocks rose, JP Morgan Chase rose 4.69%, Morgan Stanley rose 4.22%, Bank of America rose 3.78%, Credit Suisse rose 3.22%, PNC Financial Services Group rose 3.09%, Goldman Sachs rose 2.47%, Citigroup rose 2.29%, Rui Silver rose 1.02%, but Wells Fargo fell 2.62%. Among other stocks, Disney rose 11.54%, Chevron fell 4.94%, Anadarko soared 32.01%, Jumia listed 75.59% on the first day and Tesla fell 0.27%. Apple (AAPL) closed flat, after New Street Research downgraded Apple's rating from neutral to sell. JPMorgan’s first-quarter net profit rose 5% year-on-year to US$9.18 billion, exceeding expectations; revenue rose 5% year-on-year to US$29.9 billion, higher than expected, as net interest income increased due to “increased interest rates”. %. JPMorgan Dimon, CEO of JPMorgan Chase, said: "Our revenue and net profit have set a record, and every major business has performed strongly." Wells Fargo’s first-quarter earnings per share were $1.20, which exceeded expectations; revenue was $21.09 billion, exceeding expectations. Wells Fargo said it returned $6 billion in cash to shareholders in the form of dividends and repurchased shares during the quarter, and raised its first-quarter dividend to 45 cents a share. But in the subsequent earnings conference call, John Shrewsberry, the bank's chief financial officer, expects net interest income to fall by 2% to 5% in 2019, compared to a previous year's decline of 2% to 2%. The first quarter earnings of PNC Financial Services Group, a large regional bank in the United States, were in line with expectations, and revenues slightly exceeded expectations. Chevron will acquire Anadarko for $33 billion in stock plus cash. The Chevron deal is structured with 75% of the stock plus 25% cash. Disney announced that it will launch the streaming media service Disney+ on November 12, 2019, priced at $6.99 per month, or $69.99 per year, priced at about half of Netflix HD services. Tesla changed its sales strategy again and stopped selling the car online a few weeks after launching the basic model 3 of $35,000. In addition, Tesla began accepting orders for the ``MODEL 3 standard +'’ in China, starting at $377,000. Green Light Capital said that Tesla's price cuts will have a big impact on the price of used cars; Tesla's recent problems seem to pull the company to the brink of failure; Tesla's quarterly car demand forecast is unrealistic. Jumia Technologies, Africa's largest e-commerce platform, known as Africa's Alibaba, officially listed on the NYSE tonight and issued 13.5 million ADSs. The IPO is priced at US$14.5 per ADS. 1.9575 billion US dollars of funds, the security code is "JMIA". Chinese concept stocks closed mixed on Friday, with Alibaba rising 2.12% to close at $188.91.Jingdong(US stock JD) rose 1.23% to close at 30.57 US dollars,Baidu(US stocks BIDU) rose 1.10% to close at 173.09 US dollars; Renren.com rose 18.8% to close at 1.77 US dollars, fun shop rose 10.87% to close at 5.71 US dollars, Tektronix flying stone rose 7.41% to close at 1.16 US dollars, cloud meters rose 7.12 % closed at $11.89, Temple Library rose 6.26% to close at $10.18, patted loans rose 5.80% to close at $5.29, and Xinfu fell 4.35% to close at $1.10.Blue dragonfly(US stock CCIH) fell 5.07% to close at $1.31. Among other stocks, 哔哩哔哩 rose by 4.87%.No worries(US stock JOBS) rose 2.72%,58 city(US stocks WUBA) rose 2.63%, Tuniu rose 2.61%,Easy car network(US stock BITA) rose 2.56%,Jumei Youpin(US stock JMEI) rose 2.51%, Mo Mo rose 2.45%,Weibo(US stocks WB) rose 2.28%,Changyou(US stocks CYOU) rose 2.03%, Music Credit rose 1.97%, Vipshop will rise 1.95%,Car home(US stocks ATHM) rose 1.76%, iQiyi rose 1.63%, Zhongtong rose 1.56%, Ctrip rose 1.53%,Happy age(US stock YY) rose 1.40%, Cheetah Mobile rose 1.29%, Tiger tooth rose 1.05%,Sina(US stock SINA) rose 0.80%,Sohu(US stock SOHU) rose 0.80%,Good future(US stock XRS) rose 0.76%,Netease(US stocks NTES) rose 0.31%, New Oriental rose 0.31%, and the fight rose by 0.09%.Rent a car(US stock EHIC) fell 0.08%, worry-free English fell 0.18%,Thunder(US stock XNET) fell 0.26%, Sogou fell 0.35%, Wei fell 0.40%, SouFun fell 0.60%, Xiaowin Technology fell 0.75%,Calf electric(US stocks NIU) fell 0.76%, Yuxin fell 1.51%, interesting headlines fell 1.78%, fluently said to fall 1.76%, Titanium fell 3.50%, Leju fell 3.53%, and Huami fell 3.72%. Fun shop group(US stock QD) announced today that it announced an equity repurchase agreement with its shareholder Kunlun Group Limited, a wholly-owned subsidiary of Beijing Kunlun Wanwei Technology Co., Ltd. on April 12, 2019. According to the agreement, the Fun Shop Group will repurchase all of the Class A common stocks maintained by Kunlun Wan, totaling 18,173,885 shares. Recently, Ma Yun also joined the 996.icu topic of the fire. He believes that 996 is the happiness of employees, and he has long been more than 996 working hours, even 007. "Join Ali, you have to prepare for 12 hours a day, otherwise what do you come to Ali? We don't lack people who are comfortable for 8 hours to work." Liu Qiangdong, chairman and CEO of Jingdong Board of Directors, said in a circle of friends that Jingdong has not implemented the last elimination system in the last four or five years! The number of people has expanded rapidly, and more and more people are giving orders. The number of people working is becoming less and less, and the number of people who are dying is increasing rapidly! 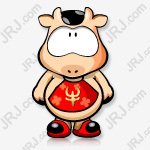 In this way, Jingdong is doomed to have no hope! The company will only gradually be ruthlessly eliminated by the market! He said that people who are mixed up are not my brothers. According to sources today, Jingdong Yun will become an independent subsidiary from Jingdong Mall, Jingdong Science and Technology and Jingdong Logistics in the near future. In response, Jingdong Yun responded that he had not received any news about the rumor. Macquarie downgraded its future stock rating from “Outperform” to “Neutral”. According to Bloomberg data, there are 25 buy-in ratings, 7 hold ratings, and 0 sell ratings in the future. The Mavericks Electric Spring New Product Launch Conference released two new electric vehicles U+ and US based on the new national standard R&D design before the official launch of the new national standard, and equipped with the 4th generation NIU Energy AI power lithium battery system technology. At the same time, the launch also launched a new category - professional sports bike brand NIU AERO. The Mavericks electric US price starts at 3,499 yuan, and the Mavericks electric U+ starts at 4,399 yuan. It will be officially launched after the press conference tonight. In the Asia-Pacific stock market, the Shanghai Composite Index closed down 0.04% to 3,186.63 points; the Shenzhen Composite Index closed down 0.26% to 10,132.34 points. The Nikkei 225 index closed up 0.73% at 21,870.56 points. In European stock markets, the Stoxx Europe 600 index rose 0.62 points to close at 387.53 points, or 0.16%. Most of the industry sectors and major European stock markets closed higher. In the national stock markets, the German DAX 30 index rose 0.54% to close at 11999.93 points; the French CAC 40 index rose 0.31% to close at 5502.70 points; the UK FTSE 100 index rose 0.26% to close at 7407.06 points. At the same time, Italy's FTSE MIB index also rose 0.80%, to close at 21,858.31 points. Gold futures for June delivery on the New York Mercantile Exchange rose $1.90, or 0.2%, to close at $1,129.20 per ounce. According to the most active contract, gold futures prices fell by about 40 cents this week. May silver futures prices rose 9.6 cents, or 0.7%, to close at $14.963 an ounce. This week, silver futures fell 0.8%. Silver futures prices closed at their lowest level so far this year. New York West Texas Intermediate (WTI) futures prices rose 31 cents, or 0.5%, to close at 63.89 US dollars / barrel. Crude oil futures prices rose 1.3% this week. Brent crude oil futures rose 0.96% to $71.51 a barrel. The US dollar index fell 0.22% to 96.96. The euro/dollar rose 0.39% to 1.1294. GBP/USD rose 0.17% to 1.3076. USD/JPY rose 0.32% to 112.01. Encrypted digital currency prices have been mixed. Bitcoin rose slightly by 0.05% to $5073.51. Xiaomo’s financial report ignited the market and made more enthusiasm. US stocks opened sharply higher and the Dow rose more than 220 points. Investors are cautiously waiting for a new round of earnings to open. US stocks are basically flat. The worst quarter of the year may be the “longest” bull market for “destroying” US stocks?